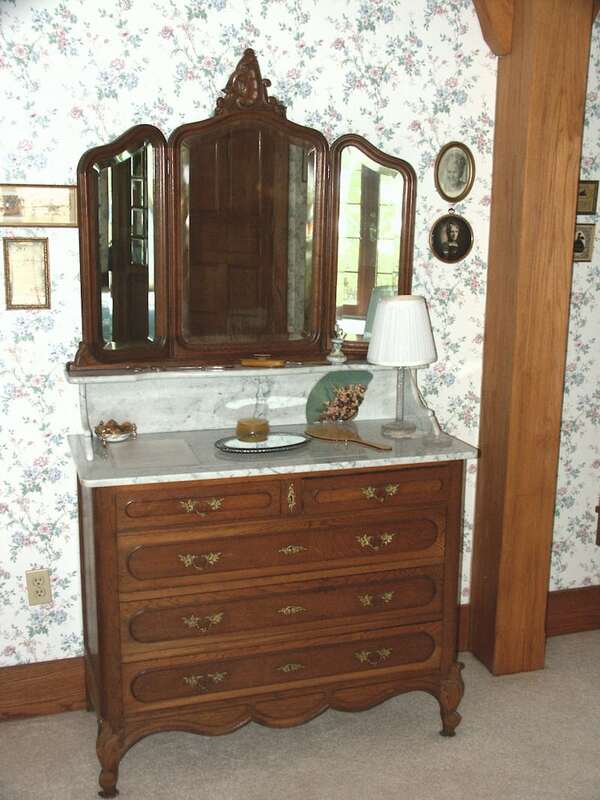 Grandma’s room is located in the Carriage House and is our only ground floor guest room. It is a large bright room with windows on three sides and exquisitely decorated. 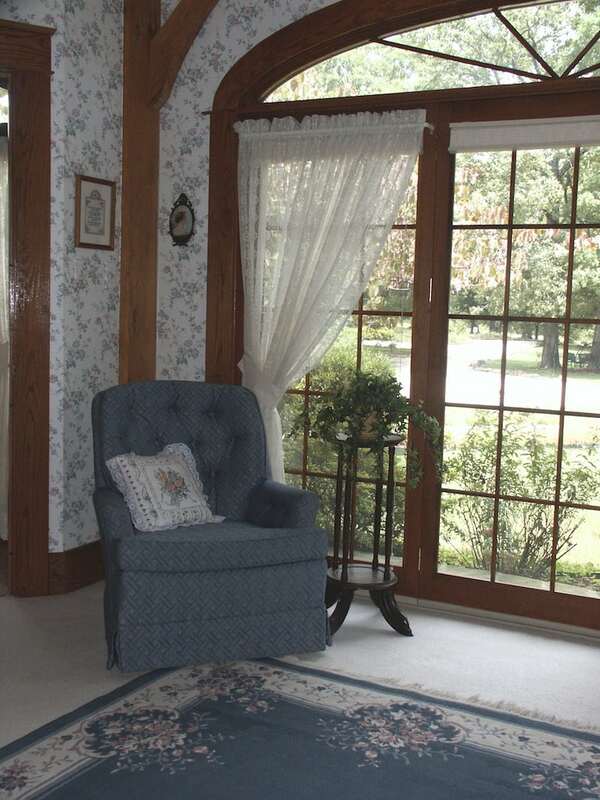 The triple wide patio door/window combination offers a view of our private lake. 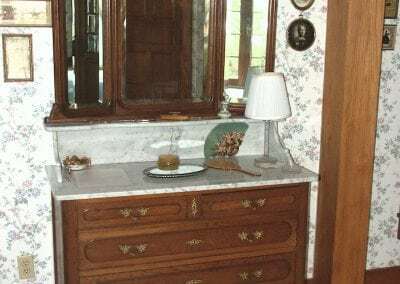 The private bath has a walk-in cultured granite shower and the oak topped bath vanity affords plenty of room for all your personal items. 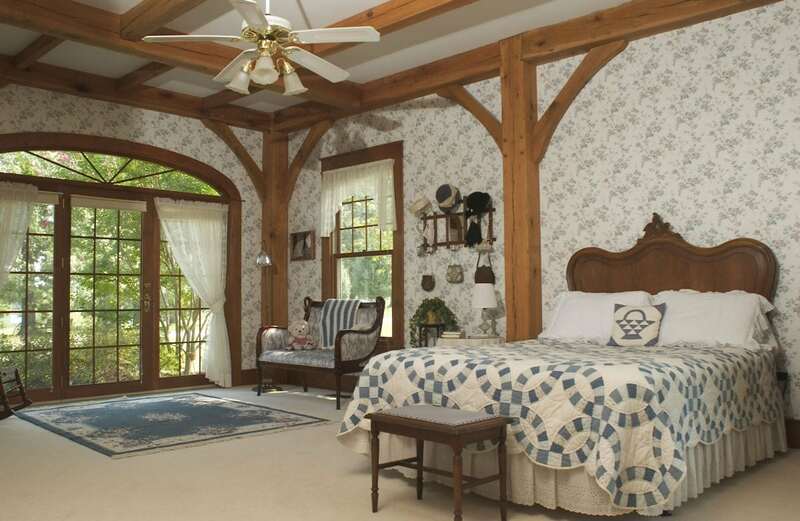 The room features an antique bedroom set with a queen bed. 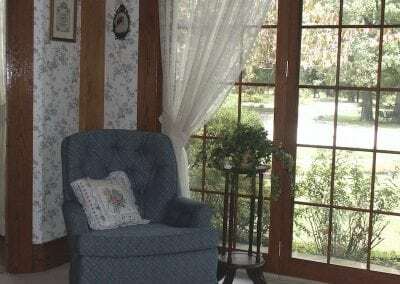 Grandma’s Room is available for $125, per night double occupancy.